Techniques and Recipes for Living A Simpler, More Sustainable Life. Also learn to raise chickens and honeybees, make your own cheese, and more. This book has easy-to-follow step-by-step illustrated instructions and detailed information about specific fruit and vegetable preparation that will enable anyone to create a truly self-sustainable lifestyle. 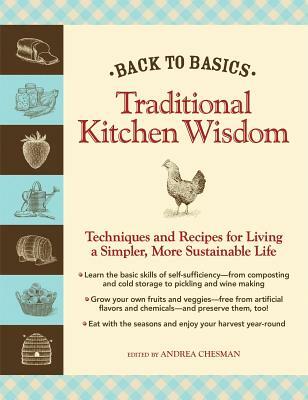 Andrea Chesman is a graduate of Cornell University and the author of several books, including Yankee Magazine's Church & Potluck Dinners Cookbook, Simply Healthful Skillet Suppers, and Simply Healthful Past Salads.